Good quality Swiss walking stick . 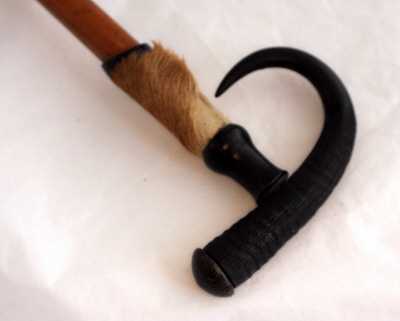 The handle mounted with a Chamois horn and stylised foot. The shaft of the cane holding the wording; Pontresillia. The base of the cane finished with original base metal ferrule. Lovely original condition without breaks or cracks.